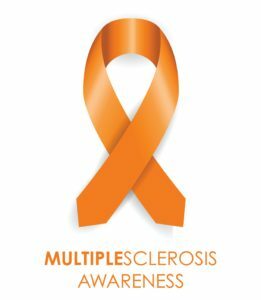 Blog How Much Do You Know About Multiple Sclerosis? It is thought that multiple sclerosis symptoms occur when an immune system attack affects myelin, the protective insulation encompassing nerve fibers of the central nervous system. For individuals with MS, myelin is destroyed and replaced by scars of toughened sclerotic tissue. Some underlying nerve fibers are permanently severed, and the damage manifests in multiple places within the central nervous system — providing the disease with its name. While no cure for multiple sclerosis has been discovered yet, a few FDA-approved drugs are available for the long-term treatment of MS. These drugs have been shown to lower the number and severity of MS flare-ups, and possibly postpone disease progression. Additionally, numerous therapeutic and technological advances are assisting those with MS to control symptoms. If you live in the Fremont, Sunnyvale or San Jose, CA area, contact Visiting Angels to find out how our senior caregivers can help a person with multiple sclerosis feel empowered, motivated and connected to others and live his or her best life. Feel free to call us anytime at 408-735-0977 in Sunnyvale or 510-284-0000 in Fremont, or 408-610-9996 in San Jose or review our in-home and respite-care services online.